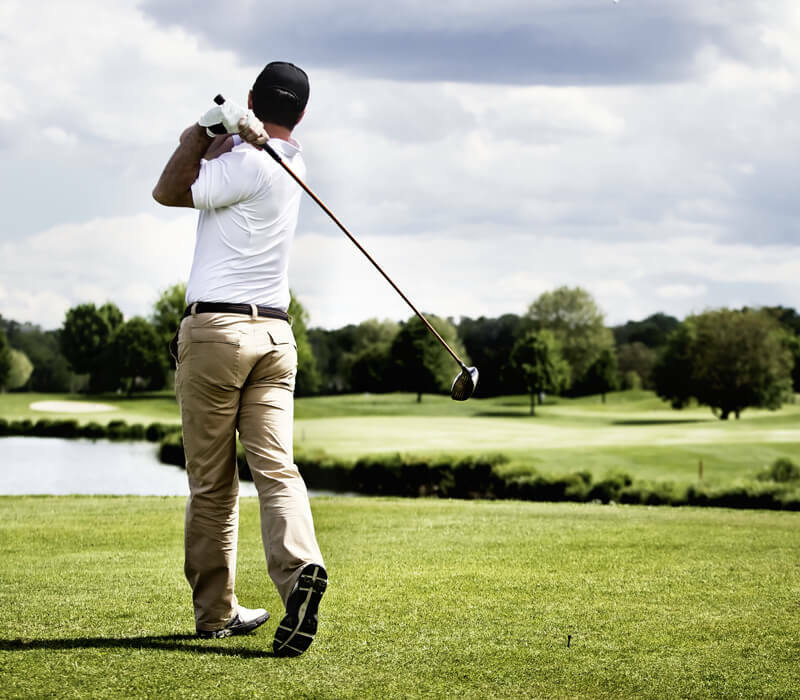 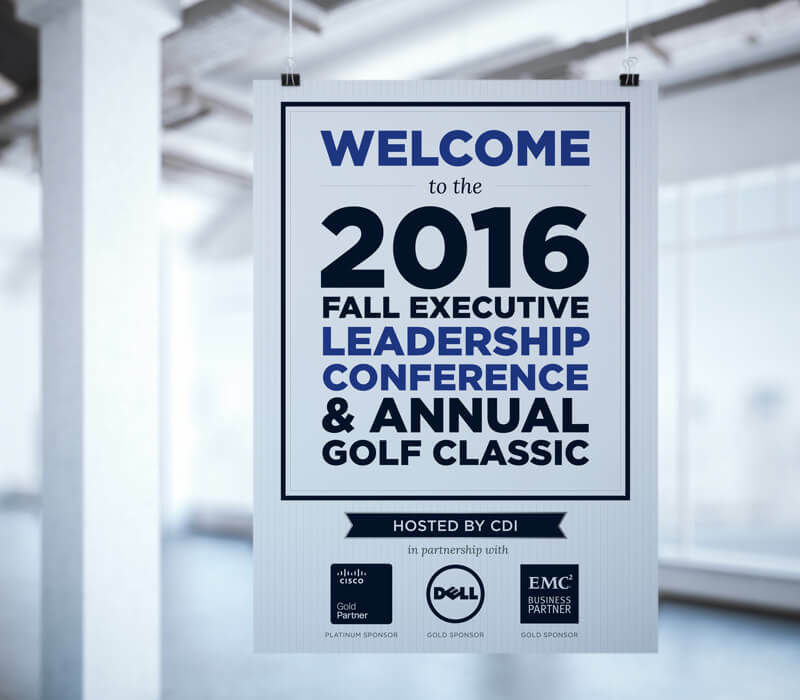 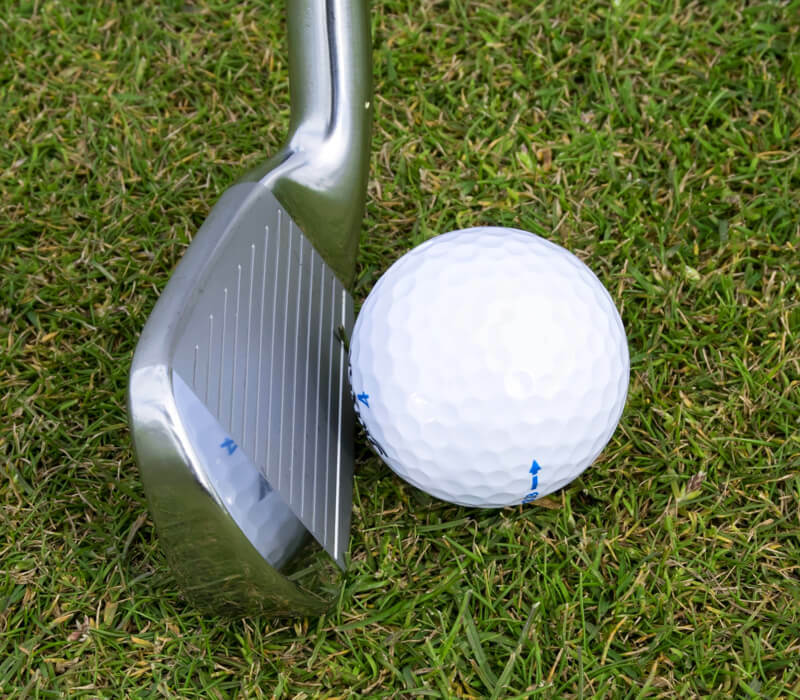 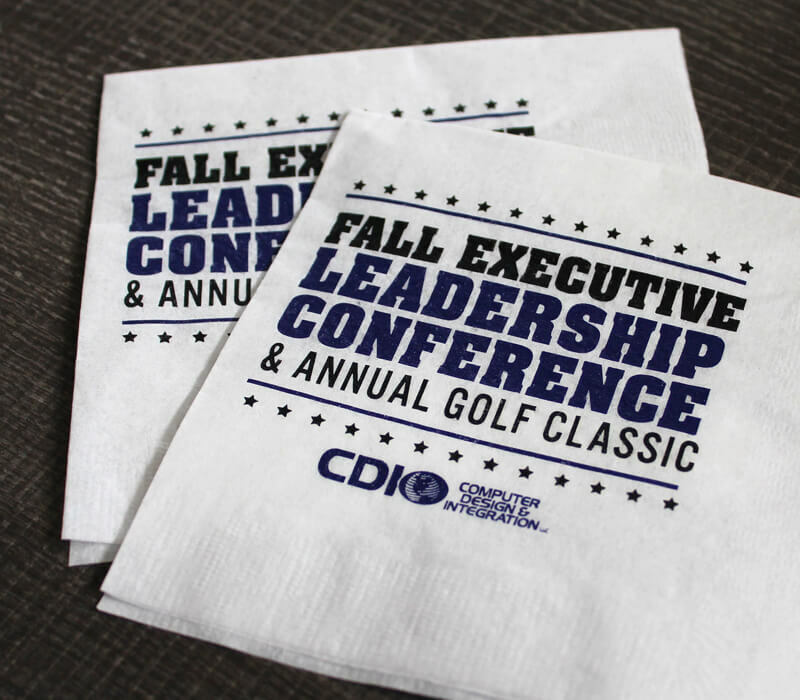 Each year, CDI hosts an executive leadership conference and golf classic. 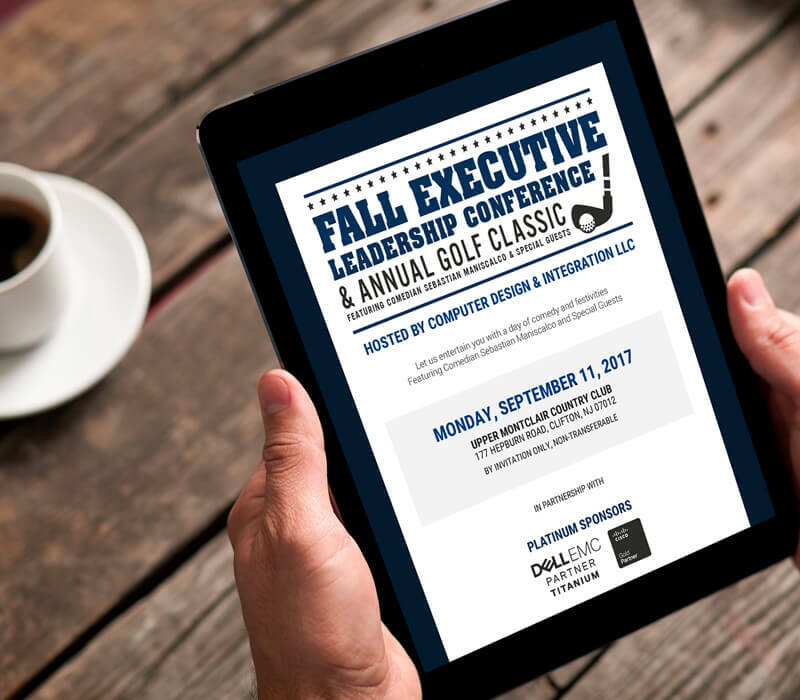 For the past few years, we’ve had the pleasure of working with them to design all of the marketing materials and décor for the event. 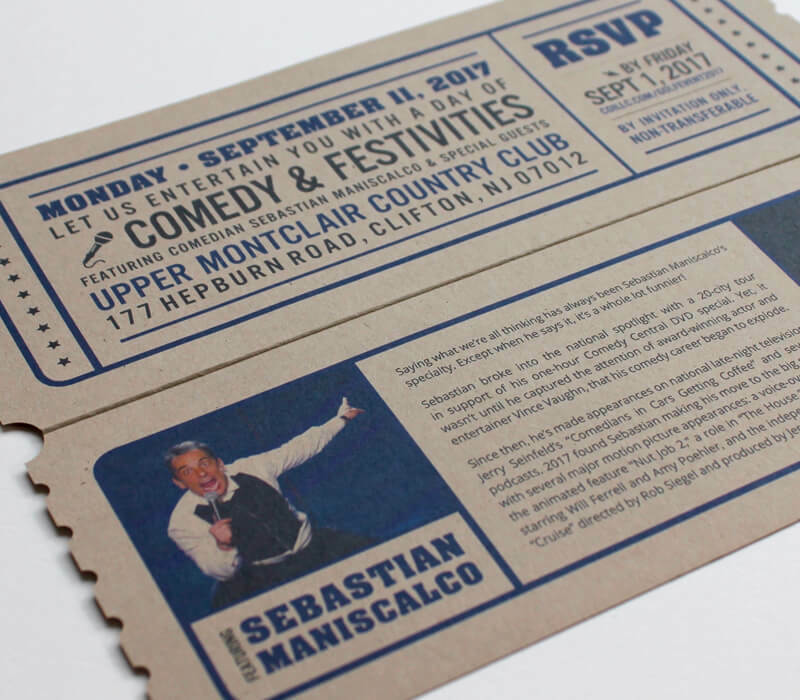 In the past, we’ve done a baseball theme in homage to special guest Derek Jeter and an entertainment theme complete with invitations die-cut in the shape of a ticket, to name a few. 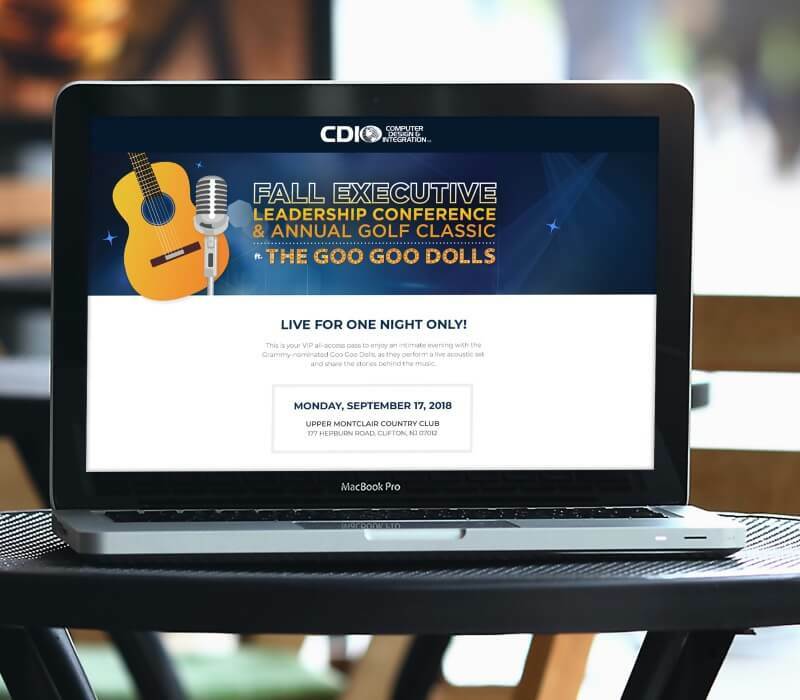 This year, the Goo Goo Dolls performed a set – so naturally, the theme was a rock concert! 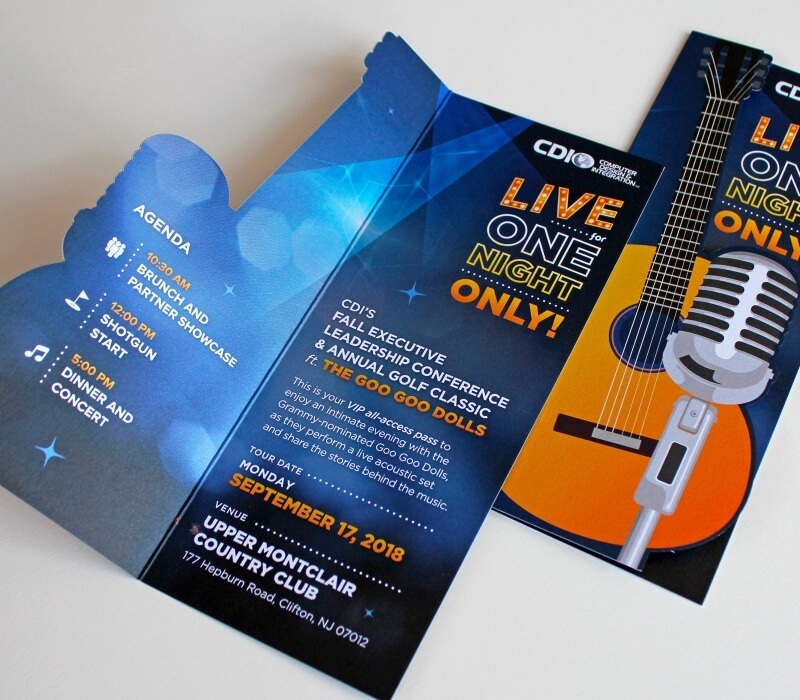 We designed die-cut invitations in the shape of a guitar and printed them in full glossy color. 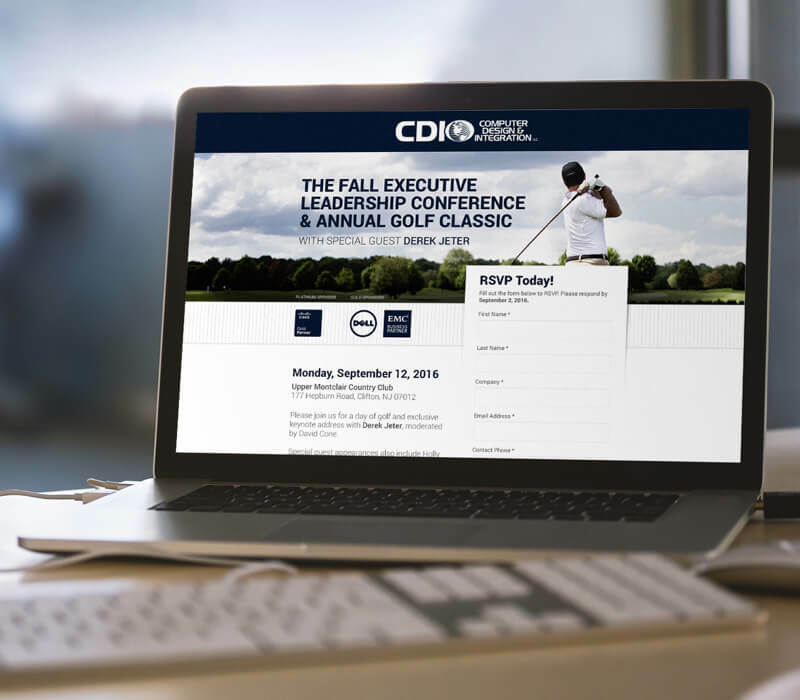 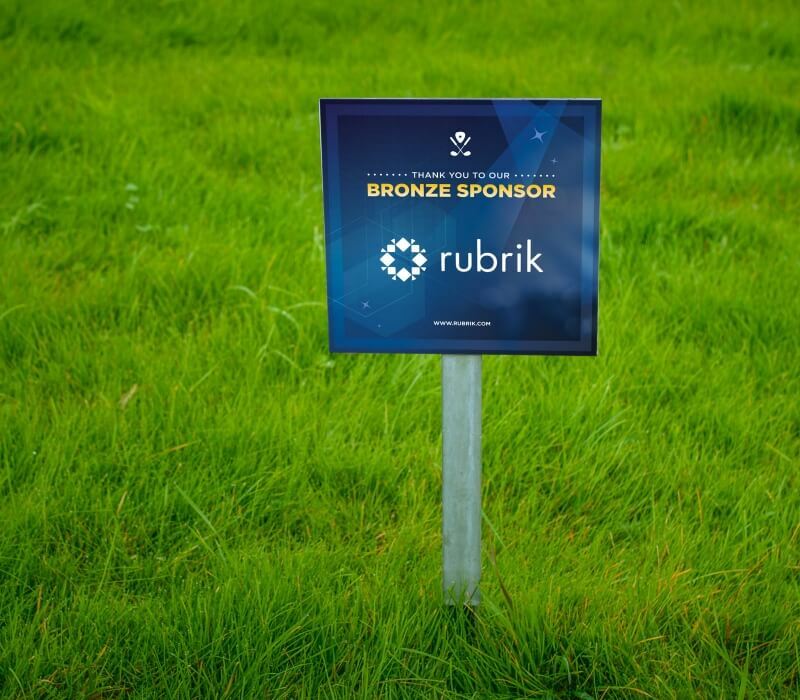 We also made matching signs for each sponsor to display on the golf course, large event posters and signage to keep guests informed of the event schedule, and responsive emails with a landing page so guests could register quickly and easily on any device. 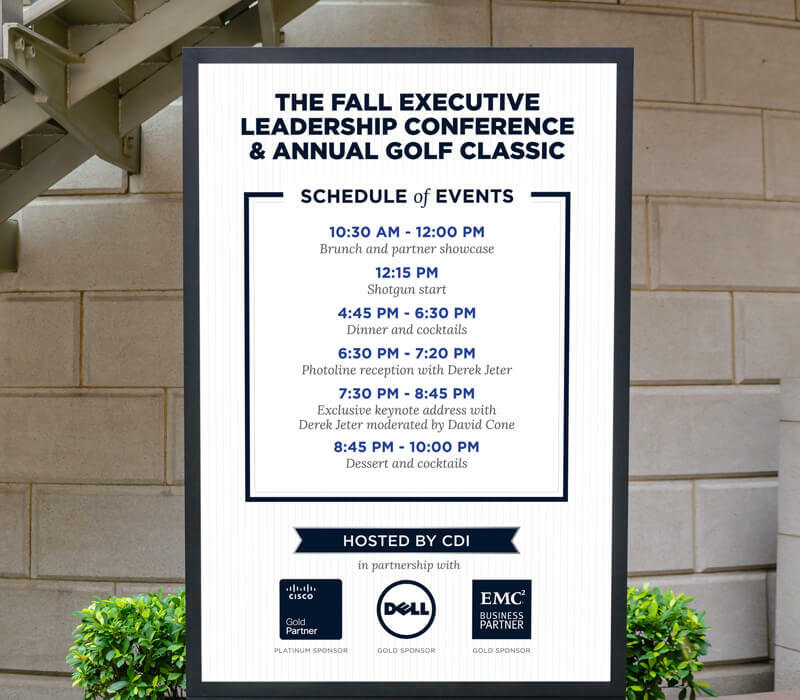 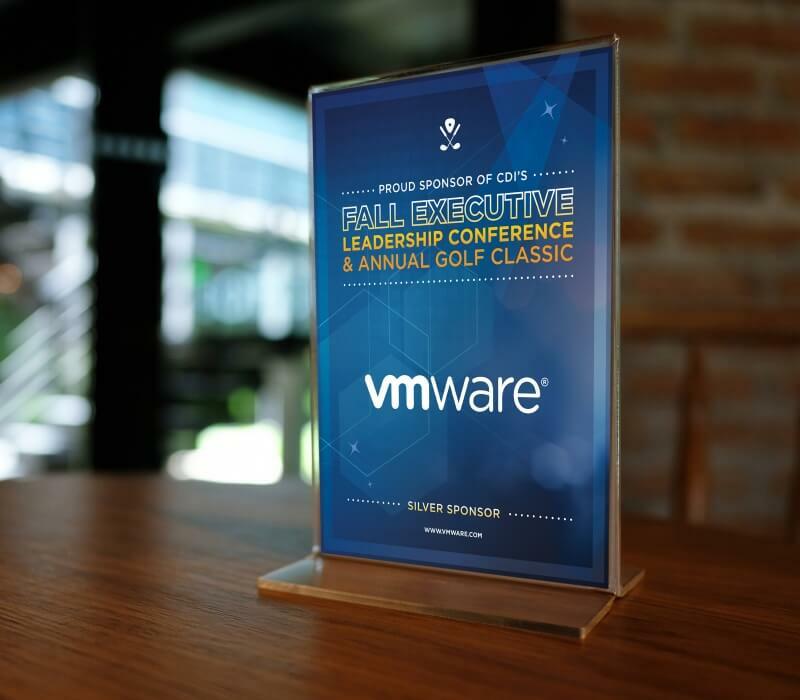 This is a big event with dozens of sponsors – we made sure to showcase them at each hole of golf with a custom-designed sign and also with table signs for the indoor events. 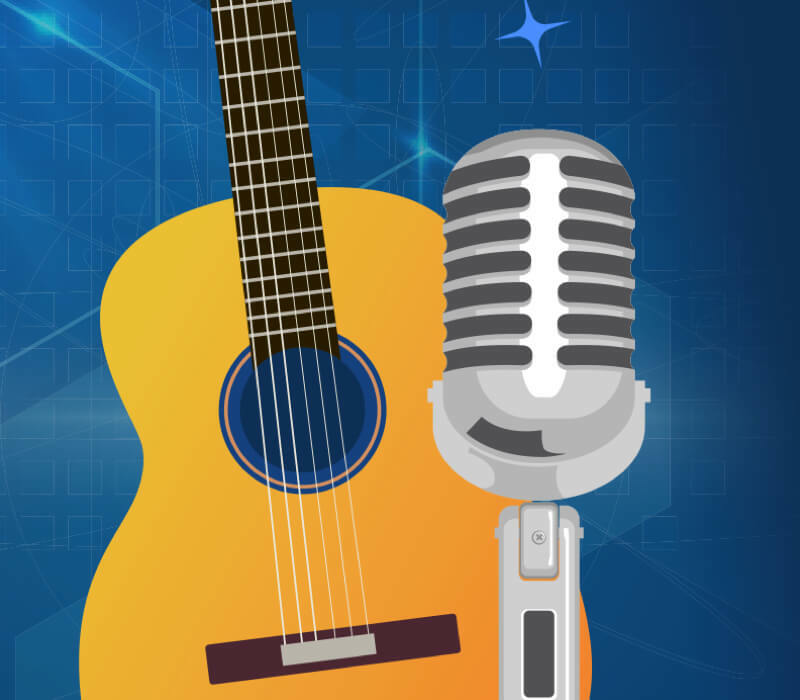 Since the Goo Goo Dolls were performing an acoustic set, we used a guitar and a microphone for the main imagery. 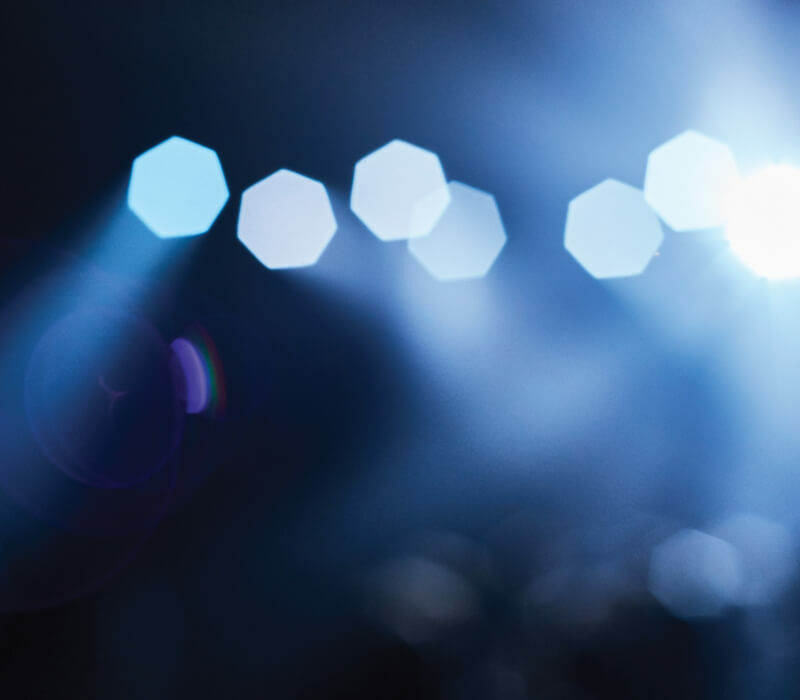 Then, we designed branding reminiscent of a rock concert with rich, deep blues and a subtle spotlight motif. 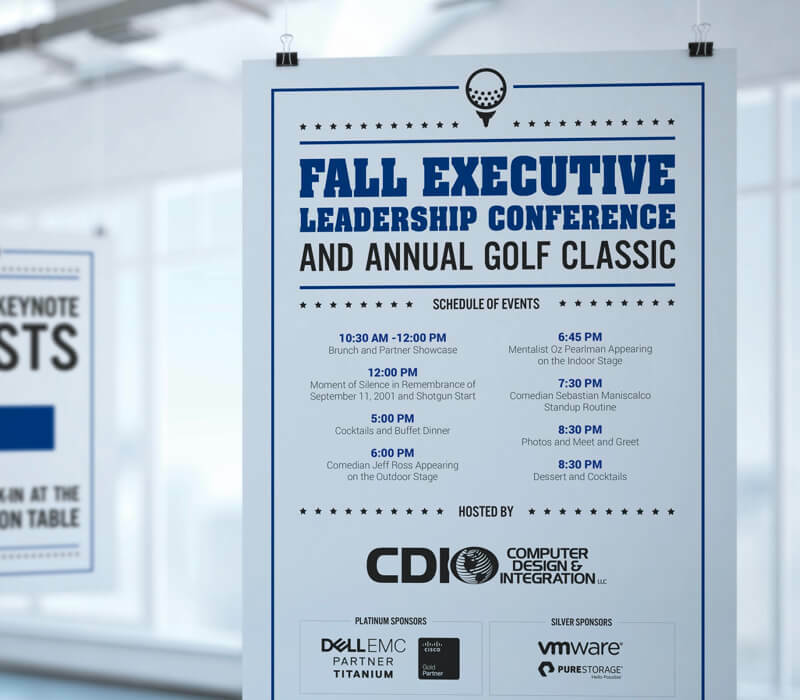 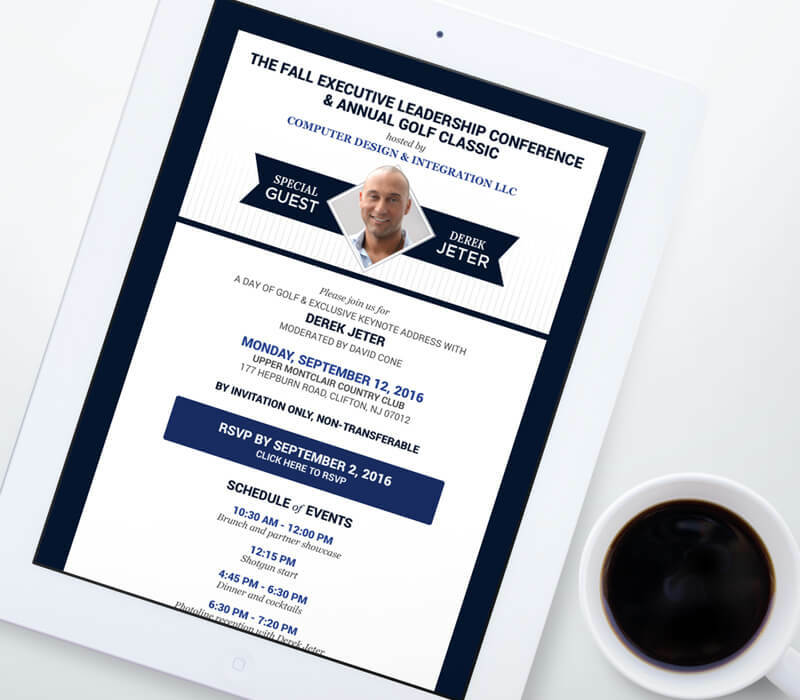 Using the same style for all of the printed and online communications made the entire event feel professional, cohesive, and special – we’re already excited to do it all again next year!